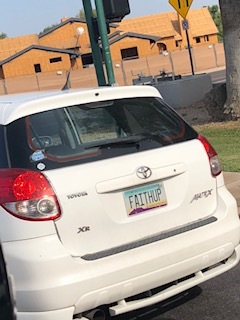 My eyes, drawn to this license plate, read: “Faithup”. Immediately my mind started playing mind games: buckle up, man up, eat up, stand up….. The driver of this car “got it”, and is sharing the important reminder with everyone on the roads. Yes, we need to “faithup” if we are going to make it in this life. When we are born we shoot through the birth canal only to be slapped into breathing and set on our way. What an entry! We come into this world remembering and longing for our heavenly home. St. Augustine said that, “our hearts are restless until they rest in thee, oh Lord”. 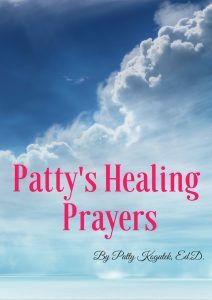 God did not kick us out of our heavenly home without some divine support. God gives us the inner powers, the tools of the heart, that will enable us to carry on. God shows us how we can be happy each day of our lives, even in the face of troubles and failure. God will not insulate us from adversity, challenge or pain. But if we are “faith-filled”, He will share happiness and peace even on the worst of days. The Lord will always see us through our trials and tests but promised to be with us until our journeys are ended. God gave us his promise and will not take it back. Life is not easy; it might feel like we are not making progress. But sure enough we are getting through with faith and that is something to celebrate. Let us take God’s word into our hearts with confident, and patient expectation. Let’s “faithup” and buckle up to enjoy this wild and crazy ride. We are in good hands.